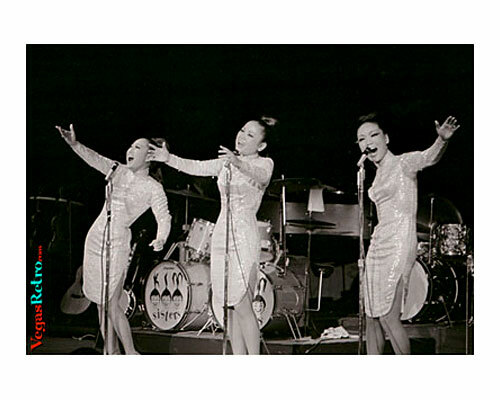 The Korean sister act became a well-known part of American pop culture in the 1960's. The act began in the midst of the Korean war with the young sisters singing for the American GI's. Sue Kim was 9 years old when she and her sisters Ai Ja and Mia sang country and western songs selected for them by their recording artist mother. The girls learned to memorize the songs phonetically because they did not speak a word of English. An American agent discovered the girls in 1958 and got them a four-week engagement at the Thunderbird Hotel in Las Vegas. The show was so good that other hotels wanted the act and the Kim Sisters continued to appear in Las Vegas for many years.